United Hatzalah volunteers bring a 72-year-old water-sports enthusiast to the sea once a month. The bedridden patient says they have saved his life. Earlier this month, United Hatzalah “Ten Kavod” volunteers from Kfar Saba set out on a mission to dramatically improve an elderly water-sports enthusiast’s quality of life by helping him experience the sea in a way that he had not done since a life-changing double amputation. Yehuda, a 72-year-old from Kfar Saba, became bedridden as the result of a life-altering medical procedure gone wrong. The procedure led to a serious infection, causing him to lose both of his legs and severely damaging his spine. The United Hatzalah project brings Yehuda to visit the sea once a month and by doing so, has saved his life. Yehuda and his wife, Tova, explained that his physical condition left him feeling hopeless to the point that he had made arrangements for voluntary euthanasia in Switzerland. “Two years ago, Yehuda underwent an operation due to a slipped disk. He was swimming and wasn’t able to swim more than 70 meters. He used to swim extensively. I knew something was wrong and brought him to a doctor,” explained Tova, a former emergency-room chief nurse with five decades of experience. “The trips that United Hatzalah takes me on to see the sea are the only times that I have left to look forward to,” he continued. “I live in those moments when the volunteers come and take me to the sea. This past trip, when they organized for me to go on a yacht, was something that dreams are made of. I will remember it for the rest of my days,” he said. United Hatzalah’s “Ten Kavod” program sends fully trained medical volunteers to visit elderly patients, many of whom live on their own. The volunteers provide them with free medical checkups and companionship. Sometimes, as in Yehuda’s case, the volunteers do even more, providing the extra level of care and compassion. Shmuel Agassi, an EMT and volunteer from Kfar Saba, visits Yehuda and Tova weekly, and was instrumental in making the trip a reality. Together with Nitzan Raich, chapter head of United Hatzalah in Kfar Saba, Agassi reached out to volunteers who used their contacts to find a yacht large enough for Yehuda and a captain willing to assist. It took only a few hours to find the right vessel and the right person; yacht captain and United Hatzalah volunteer EMT Tzvika Sperling performed the necessary safety checks to ensure that Yehuda (and his bed), as well as his family, would be able to sail on his yacht safely. Raich said that in Yehuda’s case, the team is providing support to a hero who sometimes feels that he has lost his ability to do the things that brought him joy. The three-hour trip was chaperoned by a fully equipped ambulance team on the boat, plus another team at the dock that transported Yehuda from his home to the marina and back. The boat was outfitted with special equipment that so that Yehuda could enjoy the trip from the deck while safely secured in his bed. “The joy that showed on his face was something that I will never forget,” said Sperling. “Compensation for what?” they asked. 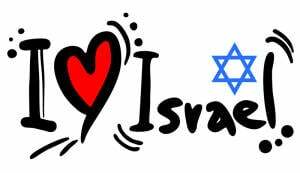 Do You Love Israel? Show Your Support! 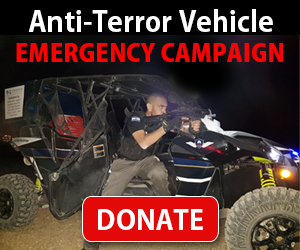 Donate to vital charities that protect Israelis and help educate and inspire millions around the world to support Israel too! Now more than ever, Israel needs your help to fight the battle of public opinion. Israel's enemies are using social media to incite brutal terror against innocent civilians. Please help us fight back! Bring Purim Joy to Israeli Victims of Terror!